The bathroom is a central room of any household. If your current bathroom is no longer meeting your expectations for space or functionality, you may want to consider a bathroom remodeling project . By working with a qualified plumbing repair company for your bathroom remodel, you can create the beautiful new space of your dreams. A company offering bathroom remodeling in Jacksonville can provide you with all of the products and services to complete your renovation project. From drain line installations to troubleshooting and more, an experienced plumber is a necessary part of any bathroom remodel. To help you get started on your project, here is a look at some essential tips for remodeling. 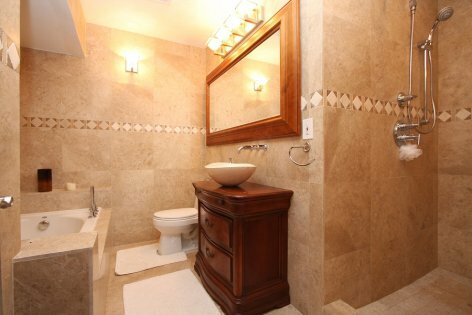 When you are remodeling your bathroom , it is important to choose all of your fixtures before you start working on the project. By choosing your fixtures beforehand, you can get a clear picture of the amount of work that needs to be performed. In addition, giving yourself plenty of time to choose your fixtures can help reduce the need for plumbing repair further along in the project. As you are remodeling your bathroom, it is important to consider storage space in your overall design. For example, you may want to include cabinets under your bathroom sink. In addition, storage areas in the shower can provide you with usable space to store your shampoo and other toiletries. With the proper amount of storage, your new bathroom will add convenience to your daily life. Above all, it is important to work with a professional plumbing service to perform any remodeling procedures that you are not comfortable doing on your own. An experienced team of plumbers can help you get your remodel done effectively and efficiently. By hiring a plumbing company for your bathroom remodel, you can ensure that you get the most out of the project. Your sewer line is one of the most critical parts of your home plumbing system. When your sewer line malfunctions, this plumbing repair issue could result in a serious home emergency. 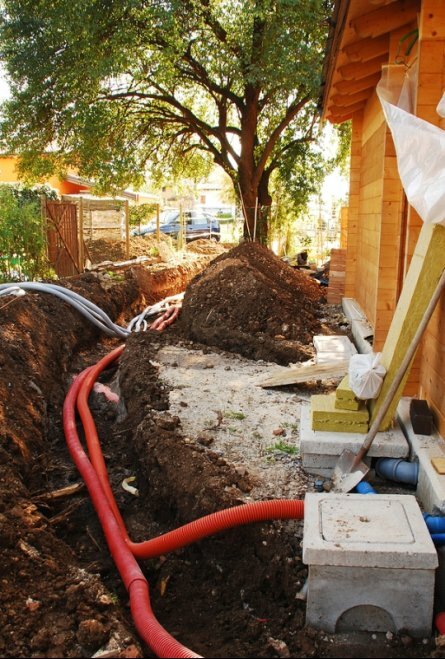 If you are wondering whether your home is in need of a sewer line installation, it is a good idea to learn more about the most common sewer line problems. For example, sewer lines can easily rust over time. A rusting sewer pipe can leak and cause significant damage to your home and yard. In addition, tree roots growing in your yard can pierce the outer walls of your sewer pipe, leading to serious damage. A company offering plumbing repairs near Jacksonville can correct your sewer line issue. Whether you are in need of minor repairs or complete sewer line installations, the master plumbers at an experienced company can help get your sewer system back in proper working shape. Like most homeowners in the Jacksonville area, you expect your plumbing system to function properly on a daily basis. No matter how well your plumbing system was initially installed, however, it will eventually fail. That’s where Eagerton Plumbing of Jacksonville comes in. We’re proud to provide high-quality plumbing repair and installation services in Jacksonville . If you have a clogged drain, one of our plumbers can come to your property and clear it with high-pressure water jetting. If your toilet breaks, we can install a new one in no time. We also provide drain and sewer line installation for new construction homes and businesses. If your property’s existing drain or sewer line is leaking, we can provide prompt replacement. Our other services include slab leak repair, water heater repair, and kitchen and bathroom remodeling. Our plumbers have the skill and experience necessary to safely install faucets, water heaters, shower heads, and other fixtures and appliances. No matter what your plumbing needs are, our plumbing experts will gladly satisfy them. 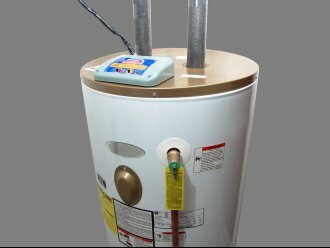 A functional water heater is an essential part of any modern home. Whether you’re building a new house or looking to replace your old water heater, you should take some time to determine what kind of new water heater will best serve your home. Water heater technology has likely come a long way since the last time you bought a unit. Below are a few tips to consider when it’s time to buy a new water heater. Once you make your choice, have a Jacksonville plumber install your new water heater. Correctly sizing your water heater is important for ensuring its longevity and effectiveness. If you purchase a water heater that’s too small, you will run out of hot water quickly and your unit will likely fail in a few years. When choosing a water heater, be sure to factor in the size of your household. Generally speaking, a 60-gallon tank unit should suffice for a family of four. It’s also important to determine which fuel type will power your water heater. If you’re replacing an old water heater, it’s probably easiest to get a new unit that uses the same type of fuel. If you’re installing a unit in a new construction home, you’ll need to research which fuel types are available in your area. Natural gas and propane are efficient and effective fuel sources, and they’re both widely available. Consider buying the most energy-efficient water heater you can afford. You’ll find that the extra cost will be offset by years of energy savings, and you’ll be helping the environment, too. Look for the blue Energy Star label on new water heaters, and consider getting a tankless model. Tankless water heaters heat water on demand as opposed to traditional tank models, which constantly use energy to keep water hot.